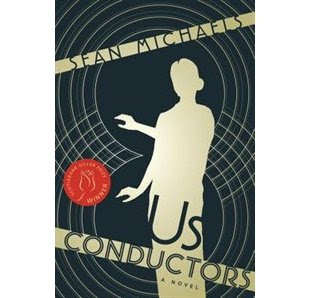 This month for our book club, we read Us Conductors by Sean Michaels. This was the Giller Prize winner in 2014, and I am often a big fan of those books. I started this book not knowing much about it and it didn't grab my attention right away. I was about 1/3 of the way in when I finally was engaged in the story and then was very interested in what was going on and it kept me right through to the end. I ended up really enjoying it and it was pretty heartbreaking throughout (and who doesn't love to be heartbroken while reading). The book employs a literary device that I like, when there is a hint at something that has already happened so the plot is leading up to this event and we want to keep reading. The story is about a real person, Leon Termen, a Russian inventor who comes to the United States. The author bases the novel loosely on true events, but takes liberties (as he says himself) about the details. I don't want to give too much away if you don't know about him but it is a fascinating story. The story takes place in the United States and in Russia in the 1920s to 1940s. I knew a bit of Russian history from reading the Ken Follett "The Century Trilogy", but it was interesting to hear more. It is really fascinating to see. This guy had so many great inventions, some of which are still used today.